Foliar fungicide applications to improve yield response in the absence of disease risk are an increasingly important issue in the U. S. Corn Belt where about 90 million acres of hybrid corn (USDA, 2013) are grown each year (Fig. 1). In any one year, foliar fungicides are applied on approximately 10% of that acreage. This case study will help students understand the possible role of “plant health benefits” of foliar fungicides as another reason to use fungicides in addition to reducing disease risk and improving yields. This study is a decision-making scenario in which Eric Markus, an Iowa corn farmer, faces a dilemma on how to manage foliar diseases. The farm he owns has a history of yield loss due to corn disease, and historically he has managed the issue using resistant hybrids. However, in the last 15 years, changes in biofuel policies leading to better prices for corn, and the availability of fungicides marketed for plant health benefits leading to higher yields, have altered many farmers’ perceptions regarding fungicide use in corn. His sons, Pablo and Brad, have differing views on using fungicides, and this is straining the relationship between them. Pablo believes in spraying for plant health benefits and increased yield, while Brad is a proponent of using Integrated Pest Management (IPM) principles for disease management. Mr. Markus is worried about alienating either one or both of his sons, as well as the long-term impacts this could have on their farm. Given these differences in philosophies, Mr. Markus encourages his children to do some research, conduct interviews with experts, and to prepare for a family meeting to determine a sustainable option for their farm. Demonstrate to students the complexities corn growers face when making fungicide application decisions and aid in critical thinking to gain an appreciation for the scientific principles involved. Highlight production practices that increase disease risk and fungicide use. Discuss foliar fungicides as a viable IPM component and their associated plant health benefits. Inform about scouting and its value in foliar disease management in corn fields. Identify environmental and economic issues concerning fungicide use for plant health benefits. Eric Markus: An experienced corn grower, considering the use of fungicides in addition to hybrid selection to manage foliar fungal diseases. Pablo: The eldest son of Mr. Markus and a recent agribusiness management graduate from Midwest University. He interned at SalSal, an Ag Advisory company, which provides scouting services to growers. He is interested in planting disease-susceptible but high-yielding hybrids to take advantage of current good corn prices to maximize profits. He is open to applying foliar fungicides for plant health benefits in addition to managing disease. Brad: The youngest son of Mr. Markus, a double-major graduate student in agronomy and plant pathology at Midwest University. He is of the opinion they should use an integrated pest management (IPM) approach to manage disease (scout, and if disease is present, apply fungicides). Brad is researching the effect of foliar fungicides on disease and yield under the supervision of Dr. Brody Matthews, an extension plant pathologist and leading expert in IPM, who conducts disease workshops, and who has done on-farm fungicide trials on foliar diseases for and with growers (including the Markus family) for several years. “Plant health benefits” are any positive physiological response of plants to foliar fungicides, and include enhanced photosynthetic efficiency, better stress [drought, hail (mechanical), temperature] tolerance, and improved standability, all of which may contribute to higher yields. Standability is the ability of physiologically mature plants to resist lodging allowing them to continue to be erect until harvest. Hybrid corn is the result of two genetically distinct individuals that are crossed to combine the advantageous traits of each. The resultant hybrid is usually adapted to certain conditions and superior to either parent. Minimum (or reduced), no-till (or zero) tillage is a cultivation system in which the ground is either worked very lightly or is not worked at all before planting, respectively, to conserve soil against erosion. Scouting is a systematic evaluation of plants for the presence of diseases in different sections of a field. Preliminary examination of samples for severity of disease symptoms and manifestation of signs is done using a hand lens (portable microscope) and a pocketknife. Comparisons between sick and healthy plants are made. Dual modes of action describes a fungicide that inhibits fungal growth by two different pathways, e.g., inhibiting fungal respiration and inhibiting cell wall production. The focus of this case is the unique contemporary situation growers in the U. S. Corn Belt find themselves in when making decisions on foliar fungicides use. It seeks to illustrate how the decision is complicated by the fact that corn has higher value and fungicide use is for more than just disease management. Foliar diseases are a major cause of direct yield loss and also lead to stalk rot, which can adversely affect the standability of corn making harvesting operations inconvenient. The case illustrates that real-world decisions, like that on fungicide application, do not have a clear “perfect” choice, and the consequences of imperfect ones are often accepted. In addition there are issues beyond input costs and yield response, such as fungicide resistance, financial profitability, and environmental stewardship that need to be considered. The case study is an especially suitable activity towards the end of the semester of a crop protection, IPM, plant health management, plant pathology, or sustainable agriculture course, where student can apply previously learned information. It is useful but not critical that students have a background and working understanding of plant disease cycles and IPM options available for disease management. The case study is designed for presentation in one 50-minute class session, using a small group or whole-class review and discussion style. The instructor serves as a moderator to maintain order and connect student ideas. Background: We recommend that students prepare for the class by doing an approximately 10 minute reading on the cast of characters, keywords, Part A of the case study (scenario set up), a recommended assigned reading: ‘Foliar fungicide use in corn” and listening to a 10-minute radio recording: “Boom time for corn farms.” These are distributed 7-10 days prior to the class and an electronic reminder sent shortly before. This ensures students have adequate time to review the information and gain an understanding of the situation regarding fungicide use on field corn in the U. S. Corn Belt and other IPM options available. We suggest assigning the entire background information and additional recordings (approximately 60 minutes preparation time) for students with no background in plant pathology and/or corn production in the U. S. Corn Belt. A summary of and web links to detailed explanations would help such students appreciate important aspects of corn production and fungicide use in the U. S. Corn Belt. Information review and case introduction: Students should be prepared to provide answers to 3-5 open ended review questions in 2-5 minutes at the beginning of class on who the family members are, what their positions are on the issue and their understanding of key terms for this study (e.g., “plant health benefits”), IPM, and scouting. A response system like ‘clickers’ can be used to get this feedback. This information allows the instructor to assess the students’ comprehension of the background information and decide how much material to present during the introduction and review. A sample sheet with suggested clicker questions is provided in the password protected section. It is suggested that the instructor begin by briefly (in 6-8 minutes) introducing the learning objectives and clearly explaining what will take place during the exercise. A review of the keywords, cast of characters, and their position should be done; level of detail is flexible depending on how well the students prepared. Activity: After this, students are divided into small groups of 3 to 5 students belonging to one of three teams: Eric, Pablo, or Brad, for large classes more than one set of students can belong to a team. Approximately 5-7 minutes is allowed for in-class reading of Part B. In the separate teams, students should hold group discussions for 10-12 minutes on what the family problem is, what the brothers found out, and try to answer the questions at the end of Part B. Groups should focus on preparing talking points for the family member to whose team they belong to. Students may search for additional information in the background document if they wish to. Recommendations: After the small group discussions, a group representative will give a brief presentation on their discussion and the talking points produced. Finally, a class discussion will be done in which the students are encouraged to give their personal opinions (e.g., if, when, and where to use fungicides profitably). A list of opinions could be written up on the whiteboard. At the end of class the instructor gives a concise wrap-up of the main points. Optional creative exercise: Groups of students may be asked to write out an 140 letter “tweet-like” statement, comments or questions they would have for a corn grower, extension plant pathologist, fungicide expert (sales representative), or a crop scout. In our experience, this was the activity the students appreciated the most; it raised questions and enhanced discussion. In answering “tweets,” instructors have an opportunity to provide additional information and relevant points with the entire class. This included information on corn prices and break-even scenarios for fungicide use provided on slides for instructor use in a short PowerPoint presentation available in the password protected section. Alternatively, they could submit a thoughtful opinion paragraph (not more than 8 lines on an index card or in an email to the instructor) on the statement: Foliar fungicide application could be for more than disease control, what factors influence this decision (to spray or not to spray)? Though developed primarily for undergraduate classrooms, short twenty-minute e-learning exercises on what plant health benefits are and scouting for foliar diseases of corn can be done during the lab or before class. These can also be used for extension classes like master gardener or crop scout schools. In our experience, students really appreciated additional roles of “experts” e.g., a chemical company representative, grower’s co-op official, certified crop advisor, an agronomist, or an extension plant pathologist, etc., being added to the class session. These roles can be played by the instructor and/or teaching assistants. Students think about possible questions and additional information (experts) could give to growers under different situations and request for it. This could include break even scenarios, grain prices, and fungicide label information. Students could also consider the potential for bias in the motives of different experts. Students could role-play or discuss possible conversations between growers and some of the suggested experts. A short YouTube video on disease control and plant health benefits or a public radio recording on the subject could also be presented either at the beginning of class or just before the whole-class discussion. Additional discussion questions on the complexity of the decision can be considered and students asked to make a decision and support their choice. We sincerely thank Mark Gleason, Jose Pablo Soto Arias and Erika Saalau for initial assistance in developing this case study. Cindy Haynes, Aurelie Rakondrafara, Dorothy Masinde, and Jeri Barak for ideas on adjusting the case for use in the classroom. Dennis Shah, for his help with images for the instructor's slides. We appreciate students in the Introductory Plant Pathology class at Iowa State University for providing comments that greatly helped to improve the clarity and quality of our case. Cassman, K., Eidman, V., and Simpson, E. 2006. Convergence of agriculture and energy: Implications for research and policy. Council for Agricultural Science and Technology Commentary QTA 2006-3. Ames, IA: The Council for Agricultural Science and Technology. http://www.cast-science.org. van der Bosch, F., and Gilligan, C. A. 2008. Models of fungicide resistance dynamics. Annu. Rev. Phytopathol. 46:123–47. Brown, W. L., Zuber, M. S., Darrah, L. L., and Glover, D.V. 1984. Origin, adaption and types of corn. In: National Corn Handbook. Purdue University, West Lafayette, IN, NCH-10, p. 5. Sturz A.V., Carter, M. R., and Johnston, H. W. 1997. A review of plant disease, pathogen interactions and microbial antagonism under conservation tillage in temperate humid agriculture. Soil Tillage and Research 41 (3–4), 169–189. Bradley C. A., Esker, P. D., Paul, P. A., and Robertson A. E., 2010. 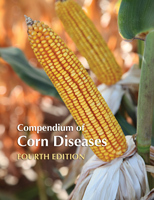 Foliar fungicides for Corn: Targeting disease http://ipcm.wisc.edu/download/pubsPM/Corn-Fungicides-WI.pdf. Larson, J., Hellwinckel, C., English, B., De la Torre Ugarte, D., West, T. O. and Menard, R. Economic and environmental impacts of the corn grain ethanol industry on the United States agricultural sector Journal of Soil and Water Conservation, 65 p. 12. Paul, P. A., Madden, L. V., Bradley, C. A., Robertson, A., Munkvold, G., Shaner, G., Wise, K., Malvick, D., Allen, T. W., Grybauskas, A., Vincelli, P., and Esker, P. 2011. Meta-analysis of yield response of hybrid field corn to foliar fungicides in the U.S. Corn Belt. Phytopathology 101:1122-1132. Wegulo, S. N., Martinson, C. A., Rivera-C., J. M., and Nutter, F. W., Jr. 1997. Model for economic analysis of fungicide usage in hybrid corn seed production. Plant Dis. 81:415-422. Wise, K. and Mueller, D. 2011. Are Fungicides No Longer Just For Fungi? An Analysis of Foliar Fungicide Use in Corn. APS Feature. doi:10.1094/APSnetFeature-2011-0531 http://www.apsnet.org/publications/apsnetfeatures/Pages/fungicide.aspx.